The Whisky Attic brings to you a whole new tasting! Bourbons of Lore is the must do for the American Whisky Lover. 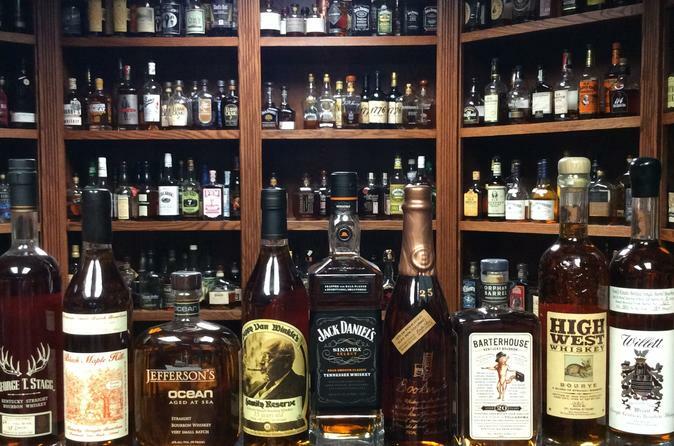 The collection of American whisky is hundreds of bottles long and from them you will experience a flight of seven (7) of the most sought after and rare whiskies that are on the market today. Experience and taste some of the most sought after and mysterious Bourbons and American Whiskies made today. You will begin your tasting with a Whisky 101 seminar covering the various styles of Whisky. From there you will move into Whisky 102 covering the history of bourbon from its humble roots through today. Each member of your party will be administered a personal flavor profile assessment, from which your instructor will select your Whiskies. Before beginning to taste you will receive education on the new revolutionary method of tasting CSTEM. Your tasting will may include Whiskies such as the mythical Pappy Van Winkle, the globe trotting Jeffersons Ocean, the hidden secrets of The Orphan Barrels. This is just a few examples of the hundreds on hand here at the Whiskey Attic.